This stunning final stage of the Kingfisher scheme takes fluent readers into new realms of discovery, with longer text and even more facts to learn! At this last level, the dynamic graphics of the series are complemented by more complex text, ensuring readers are fully ready to move into the wider world of books. 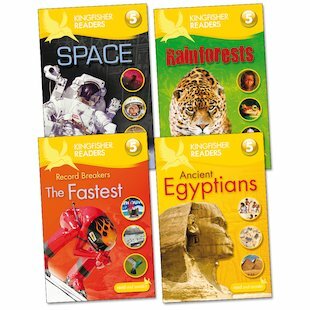 A sophisticated range of vocabulary and language prepares children for the demands of ‘real’ books, while taking them ever further into their favourite non-fiction topics. By the time they finish this exciting final step, children will be fully confident and eager to explore books further, having discovered the joy of reading for themselves.